I meant to do a quick follow up on the first segment about tricking out my all purpose travel/road-race/track/fixie bike, but things got strangely busy days at the shop (or rather other staff kept taking time off leaving the shop somewhat short handed) and some serious off-season partying by me sidetracked that plan. And lately I’ve been packing up my apartment to move Bike Hugger Outpost BRAVO from Capitol Hill to the Eastlake neighborhood. But back to the story…..
Last time I had explained about highly raked forks and large handlebar bags on randonneur bikes, and how I was going to add the fork and bag to my track/road bike. That’s all fine and well, but my handlebar sits well below my saddle. With the space immediately above my front tyre crowded by a rack, huge front bag, and possibly a fender, where was I going to put the bar? My solution was to find a bar with dramatically longer reach than my favoured Pro Vibe 7s (~75-80mm reach). I took a bit of inspiration from Bicycle Quarterly’s Jan Heine, whose favourite bar is the Atax Philippe Professional (~115mm reach). This is a 30+yr old vintage item that I scored off eBay, and it is super narrow by modern standards, just 36cm wide at the hoods (flaring slightly at the drops). Then I used a 3cm shorter stem than usual, which pulled the flat tops of the handlebar back and allowed the weight of big rando bag to sit closer to the steering axis. The bag effectively uses every bit of useable space between the bar and wheel and in fact sticks about 3cm above the level of the brake hoods. So narrow is that bar that my hands just graze the side of the bag when I grab the hoods. Yet, my position on the bike is just how I want it: low, clean, and powerful. The one drawback, one that is characteristic of long reach handlebars, is that the shoulders of the bar foul my forearms when I sprint out of the saddle from the drops. However, because of the style of bike and the weight on the front, sprinting out of the saddle isn’t a tactic that you use often on a randonneur bike. Jan has often expressed his preference for the Philippe Professional and similar bars, stating that the longer ramps behind the hoods provide more room for the hands, contributing to improved comfort especially over longer rides. I’m going to say that if it wasn’t for the peculiarities of my small bike, low hand position, and big rando bag, I would still prefer short reach bars. Modern brake levers and integrated levers are much larger than older, non-aero style models, and they go a long ways towards providing a better parking spot for your mitts. And I can’t stand the bars getting in my way when I sprint. So I’ve got the fork, a rack, and the bar/stem combo. Next time I’ll talk about the custom Swift Industries rando bag and the custom attachment I built for it. picture above is a Cinelli #66, a short reach drop handlebar. 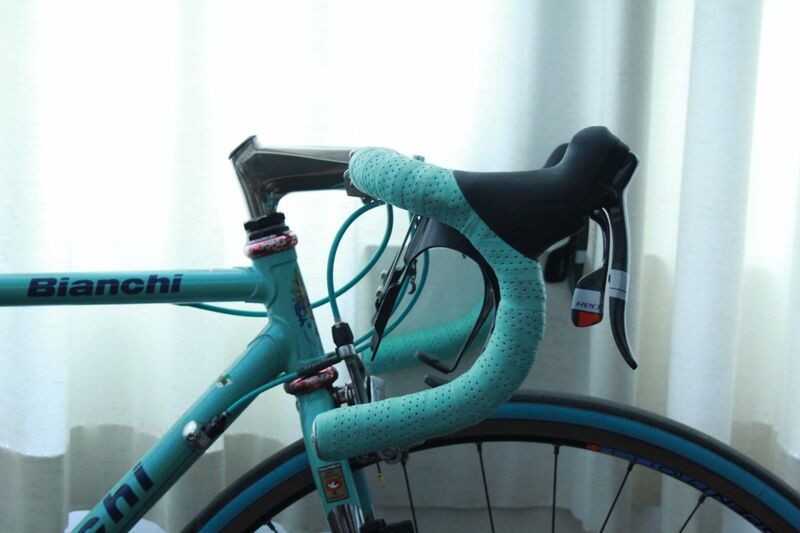 compare to the French-styled, long reach handlebar below. 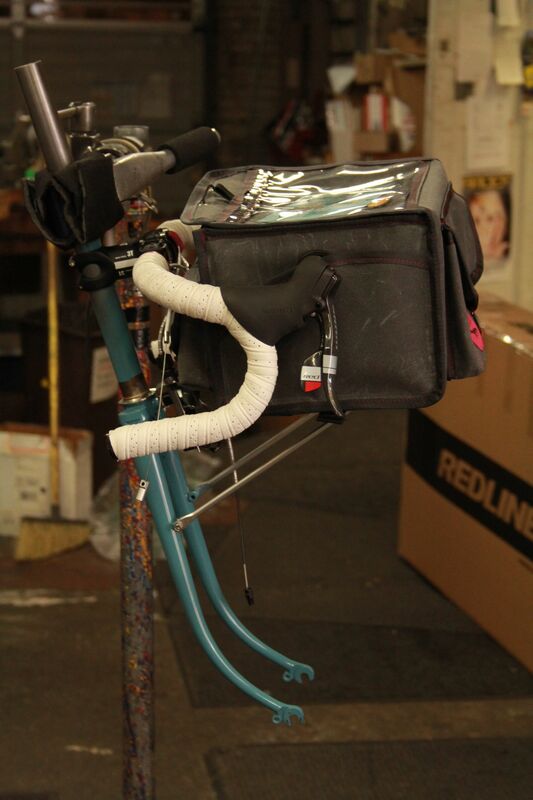 Above is the Swift Industries Ozette Bag on the mocked up front end. Below you can the Philippe Professional bar and Pro Vibe bar side by side. 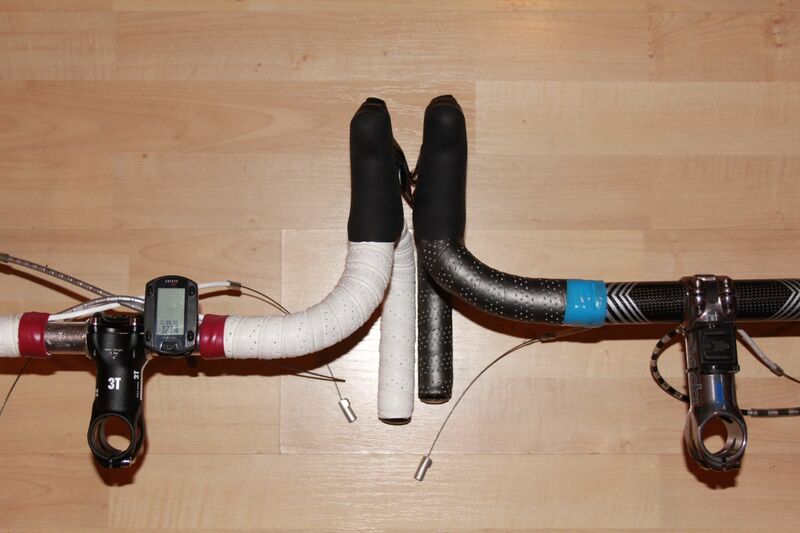 Note how the distance from the steerer clamp to the hoods is essentially the same.